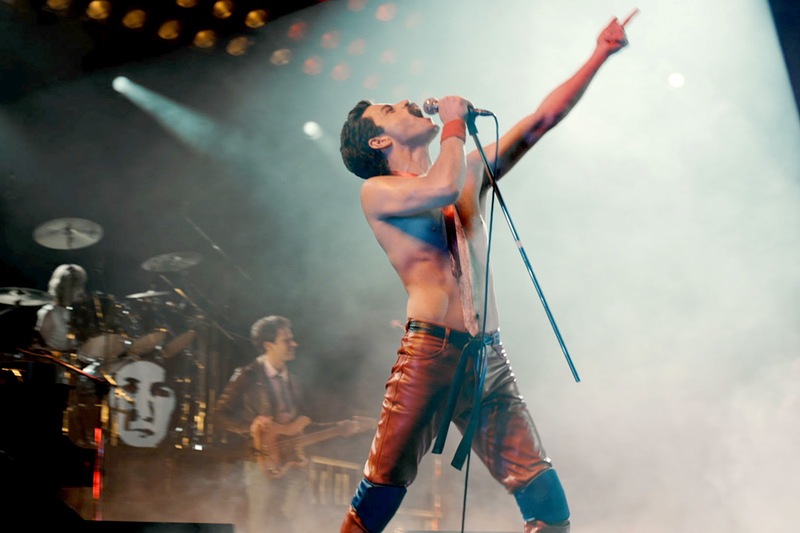 Even if you weren't a Queen fan in the 1970s and 80s, you're sure to love the rousing beat of "We Will Rock You," the sweeping sounds of "We Are The Champions," and the operatic flourishes of this rockin' bio-flick's title song, "Bohemian Rhapsody. Rami Malek (Mr. Robot) brings Queen's lead singer, Freddie Mercury, back to life and we accompany him as he meets the band and makes the music. So it's a little kitchy now and then. So was the band. But that doesn't take away from the brilliant music, which generously punctuates this film. All is a build up to the final scene, a mini-concert that recreates the band's 1985 Live Aid performance. Movie-goers will be excused for foot stomping, hand clapping or jumping out of their seats to dance to this.